Not a lot of time to blog since my time in Ireland is full of wonderful sites to visit. 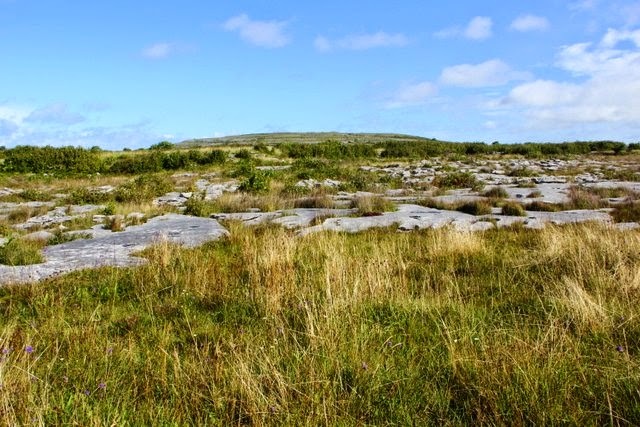 Yesterday it was The Burren, land of fissured bedrock. It's a unique landscape where arctic, alpine and Mediterranean plants live side-by-side. It's also a land dotted with holy wells and monastic ruins. Our guide took us to the ruins at Temple Cronan, an important monastic sanctuary site. 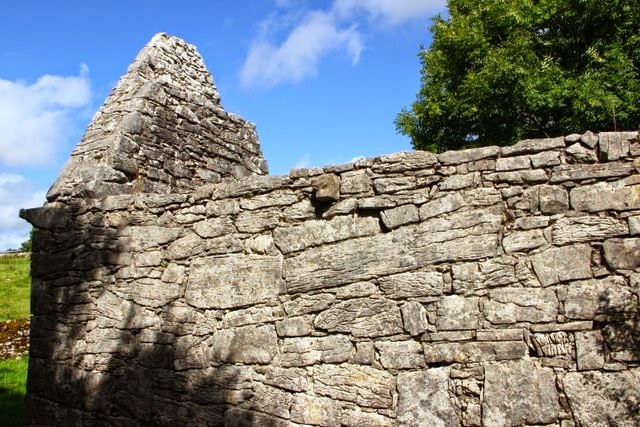 The ruins have been dated to the 12th century, but there is thought that an original building may have been established as early as the mid-600's by St. Cronan. It could have been a pagan worship site before that. There will be more about The Burren...but not today. I have places to go and things to see!